There a multiple ways to install Home Assistant Hass.io on different platforms. 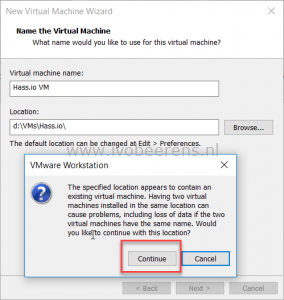 The instructions for deploying Hass.io as Virtual Machine (VM) are not very clear when using VMware Workstation or VMware ESXi. 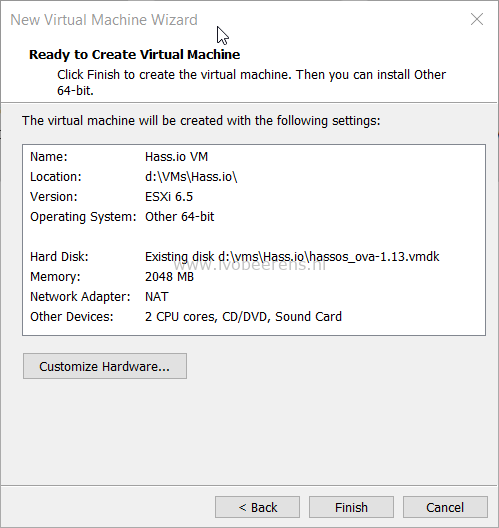 In this blog post I highlight the steps needed to deploy Hass.io as VM using VMware Workstation 15 Pro. 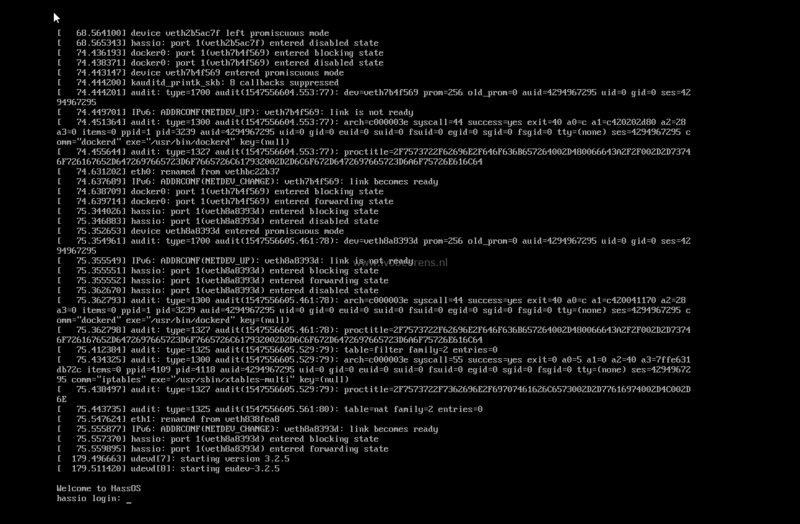 Select the number of processors and cores. A minimum is 1 processor and 1 core. 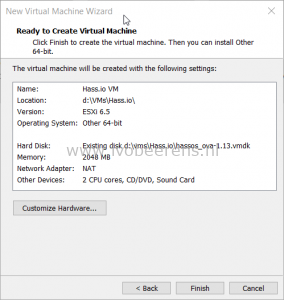 Assign memory to Hass.io VM. A minimum is: 1024 MB. 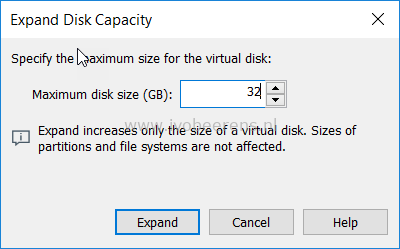 The disk is only 6 GB, expand the disk to 32 GB or higher. 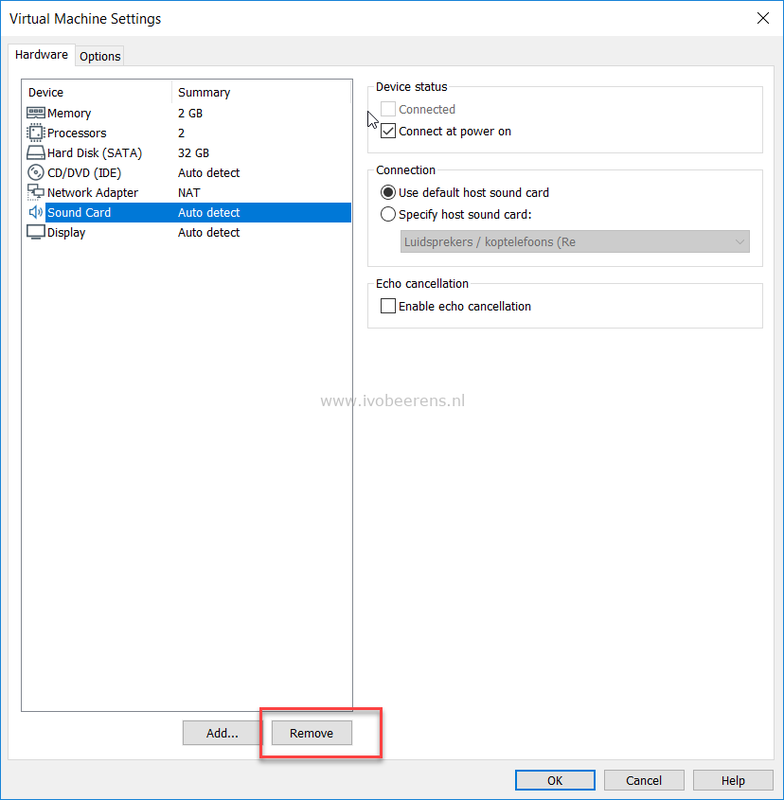 Remove the Sound Card in the hardware configuration. 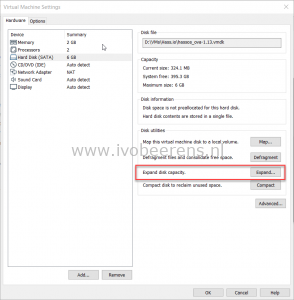 Change the firmware from BIOS to UEFI. 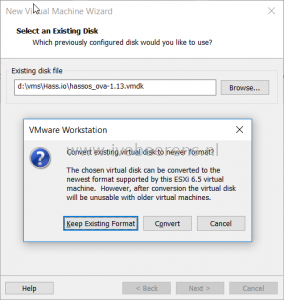 Do not select “Enable secure boot”! 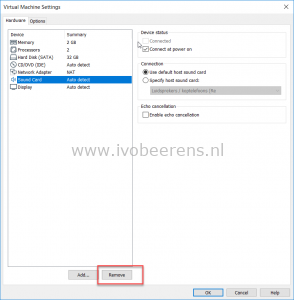 Select OK and Power On the VM. When the boot is completed press “enter” in the console and the login prompt appears. To log in use “root” without a password. The Hassio console prompt appears, enter “login” for host access. 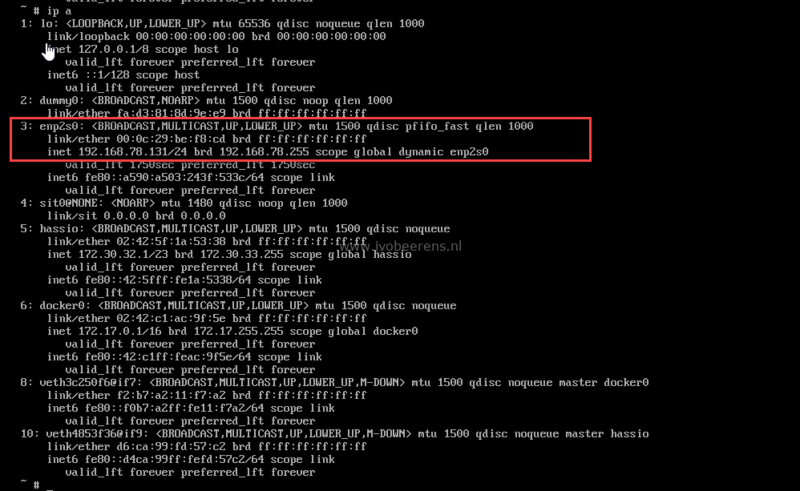 To find the IP address assigned, use the “ip a” command in the console and look for the IP address on the enp2s0 nic. Now you’re ready to update Home Assistant and lets start playing. Hi, have you tried to export this VM to ESXi? 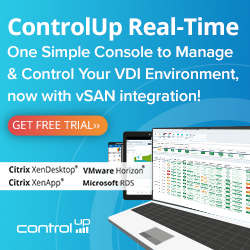 @Stefan Yes, Connect from VMware Workstation to the ESXi host and upload the VM. I don’t have Vmware workstation instead I have Esxi 6.7, and I imported Vmdk with Vmkfstools. 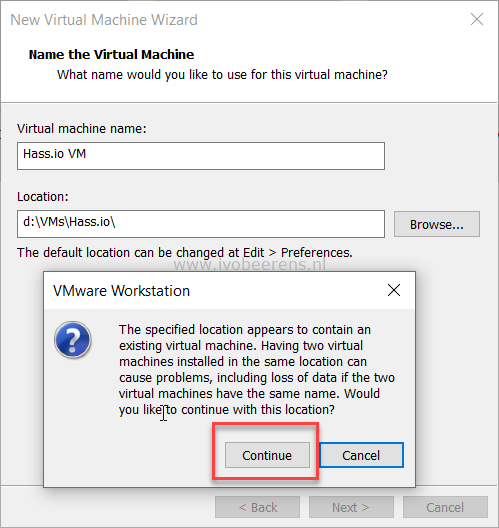 Have same config options in Esx VM as you have in Workstation, but it hangs during startup, just after Md raid. 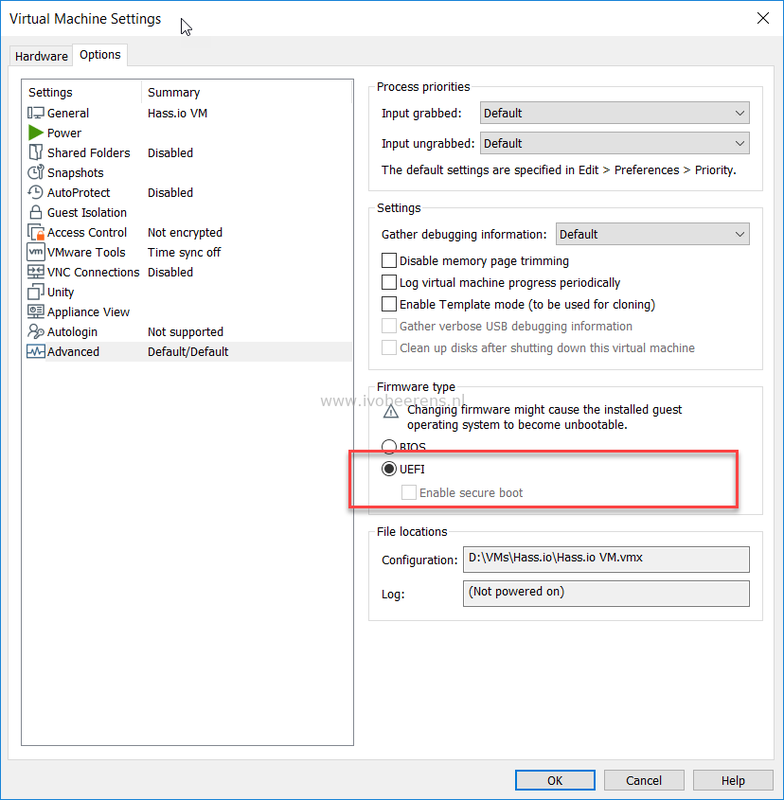 Not able to ssh / login. Is there anybody out there that has tried my path with success? 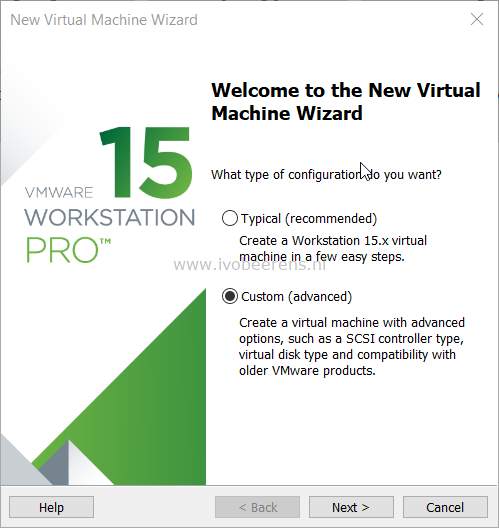 Followed everything step-by-step, and I am getting an error message stating the following: “VMware Workstation and Hyper-V are not compatible. 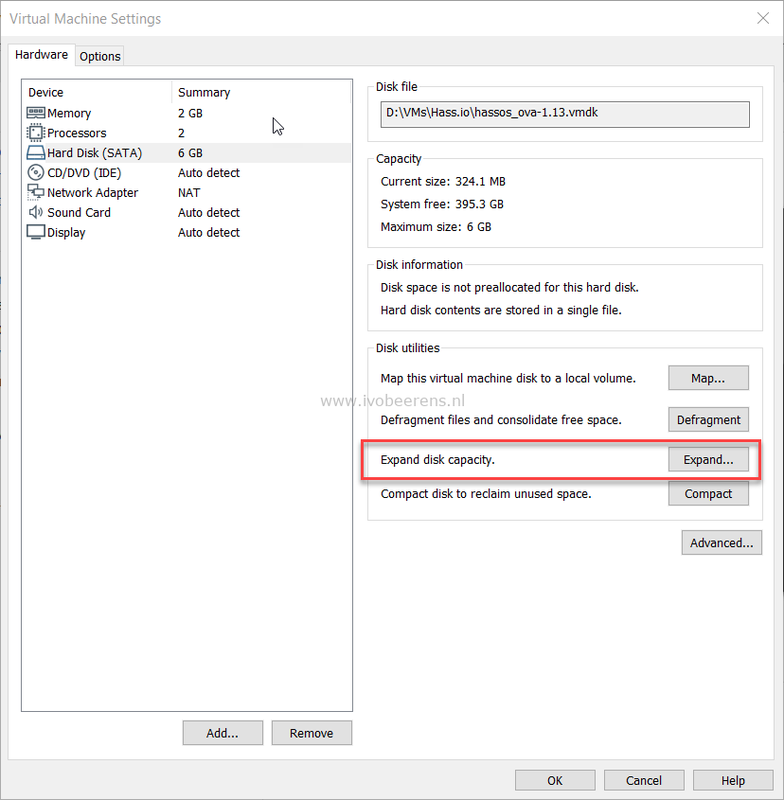 Remove the Hyper-V role from the system before running VMware Workstation”.